Cooperation and collaboration between groups of scientists—scientists use the binomial system to identify a species rather than the many different local names. 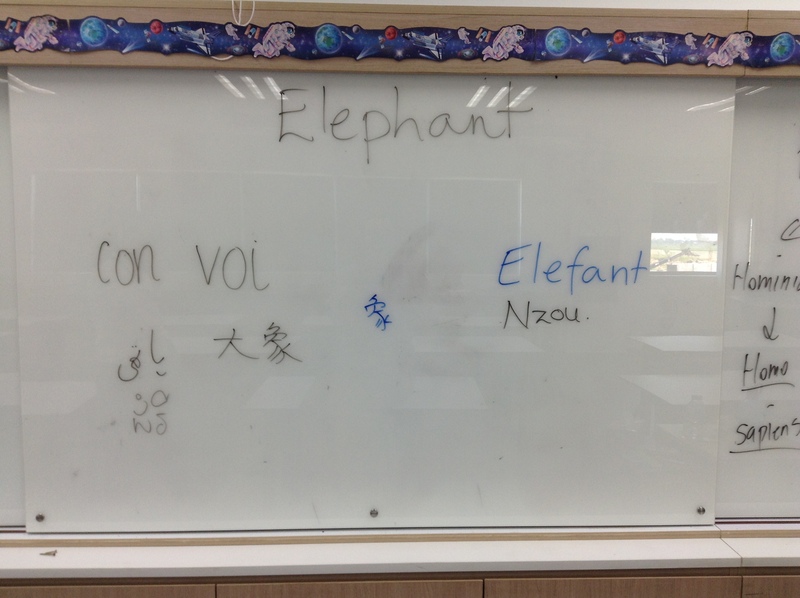 How many ways to say elephant? Out of 11 students in the HL class, we had 8 different mother tongues represented in the picture above: Shona, English, German, Khmer, Chinese (Mandarin), Vietnamese, Urdu and Japanese. This provides a clear indication of the need for a uniform system of classification. It can also be augmented by a side discussion about, to continue the trend, elephant grass, elephant seal, elephant shrew, etc. The next part of the lesson allows us to focus on the Khmer language (a good opportunity to link to our host-country). In Khmer, the word for tiger is ខ្លា (Klah) and the word for sun-bear is ខ្លាឃ្មំ (klah kmoom). We discuss how this intimates a very close relationship between the two species. But how close? Binomial classification of the tiger and the sun bear. 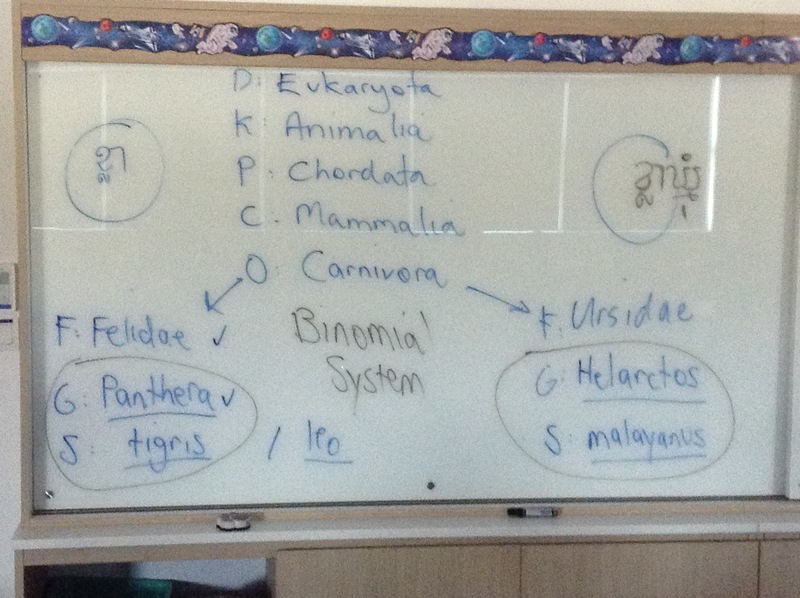 How do other IB Biology teachers teach classification? How do others use language to frame the lesson? I would love to hear from you.